November 21, 2008. 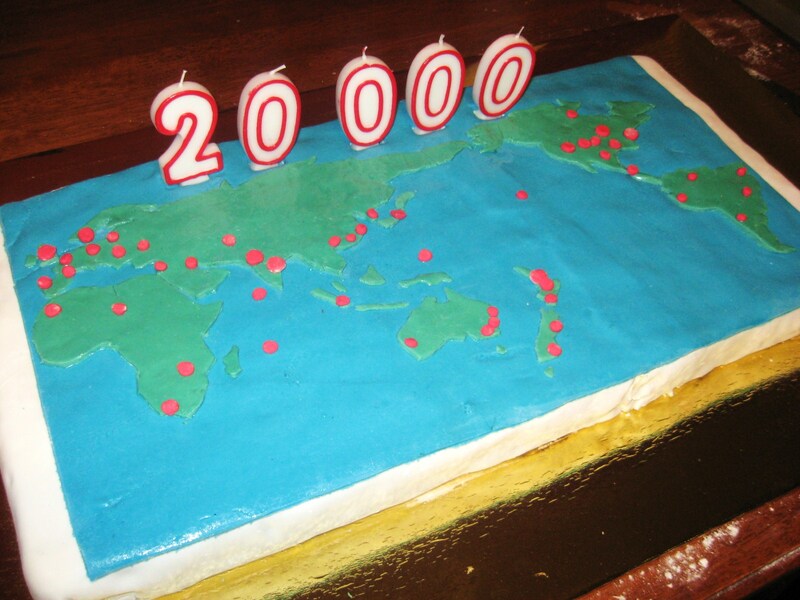 Tags: Baking, Cake, Cluster map, Glenview, Glenview9, world map. Baking, Cake. 1 comment. Daring Bakers October Challenge: Pizza! I know, I know, the write up is late but I did do this challenge before the posting date I’ve just been busy with studying for exams and, well, sitting around doing nothing. I took photos of two pizzas that I made, but the dough made enough for six pizzas so I was eating it for about a week. 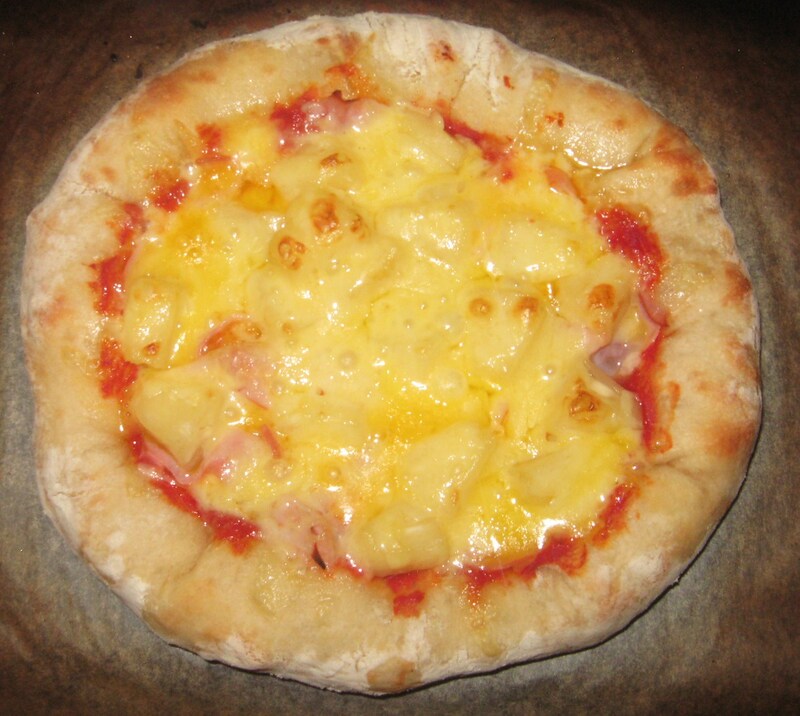 😀 The first pizza I made was a Hawaiian one with cheese, ham and pineapple and the second was a sweet pizza made with caramel sauce, apple slices, cinnamon and crumble topping. I ate it topped with some whipped cream and it was delicious. 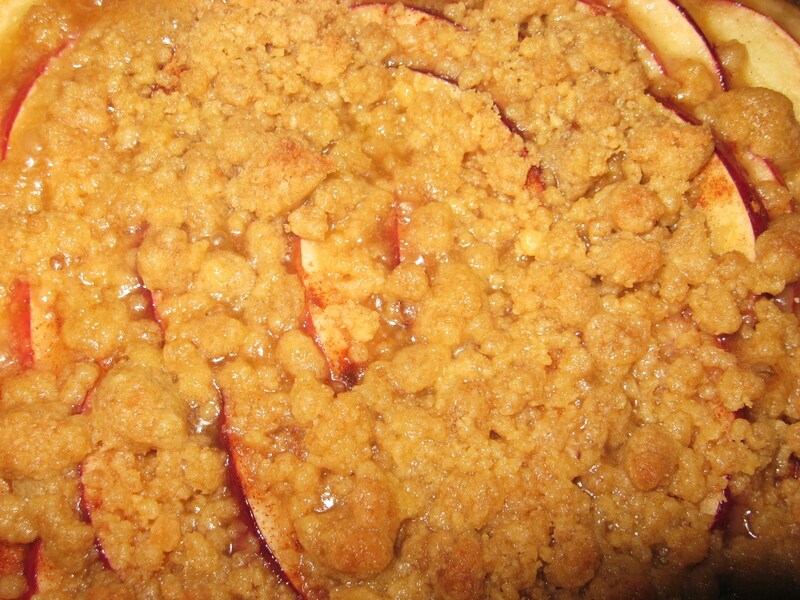 The caramel sauce was simple – melted 1 cup butter in a saucepan and added 1 cup caster sugar until it caramelized and then added 1/2 cup cream and stirred until smooth. NOTE: If you are using an electric mixer, switch to the dough hook and mix on medium speed for the same amount of time.The dough should clear the sides of the bowl but stick to the bottom of the bowl. 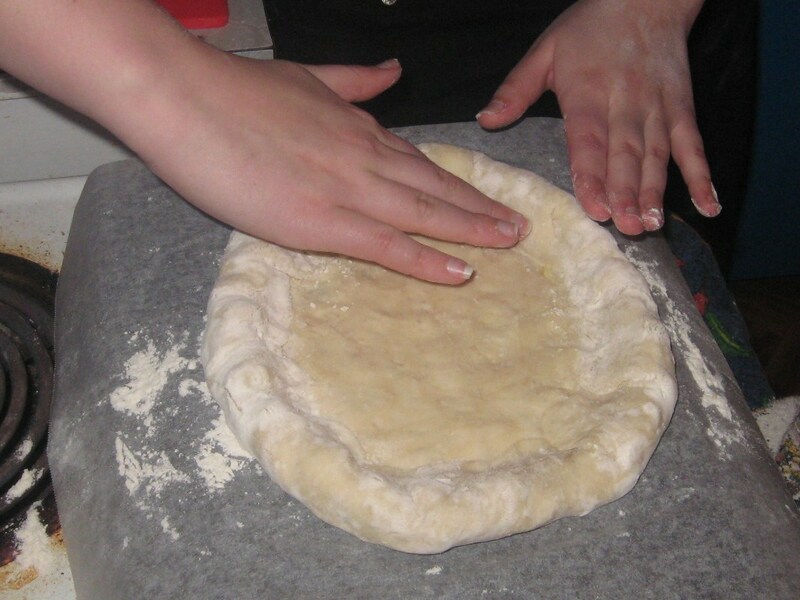 If the dough is too wet, sprinkle in a little more flour, so that it clears the sides. If, on the contrary, it clears the bottom of the bowl, dribble in a teaspoon or two of cold water. The finished dough should be springy, elastic, and sticky, not just tacky, and register 50°-55° F/10°-13° C.
2. FOR GF: Add the oil, sugar or agave syrup and cold water, then mix well (with the help of a large wooden spoon or with the paddle attachment, on low speed) in order to form a sticky ball of dough. 8. FOR GF: On the day you plan to eat pizza, exactly 2 hours before you make it, remove the number of desired dough balls from the refrigerator. Place on a sheet of parchment paper and sprinkle with a gluten free flour. Delicately press the dough into disks about ½ inch/1.3 cm thick and 5 inches/12.7 cm in diameter. Sprinkle the dough with flour, mist it again with spray oil. 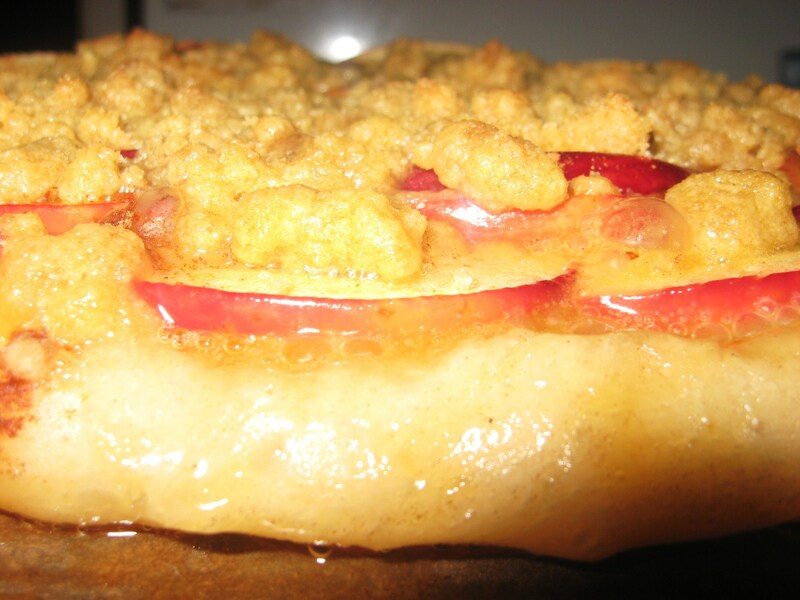 Lightly cover the dough round with a sheet of parchment paper and allow to rest for 2 hours. 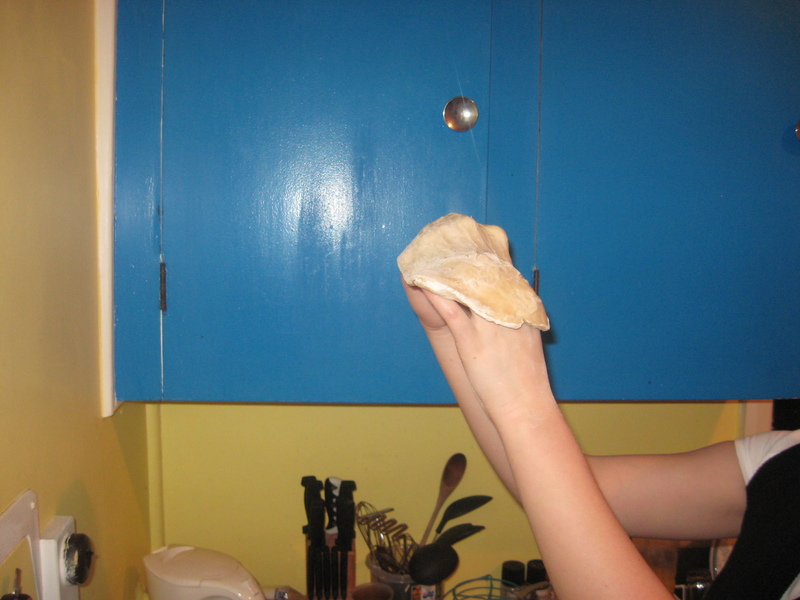 NOTE: If you do not have a baking stone, then use the back of a jelly pan. Do not preheat the pan. 10. 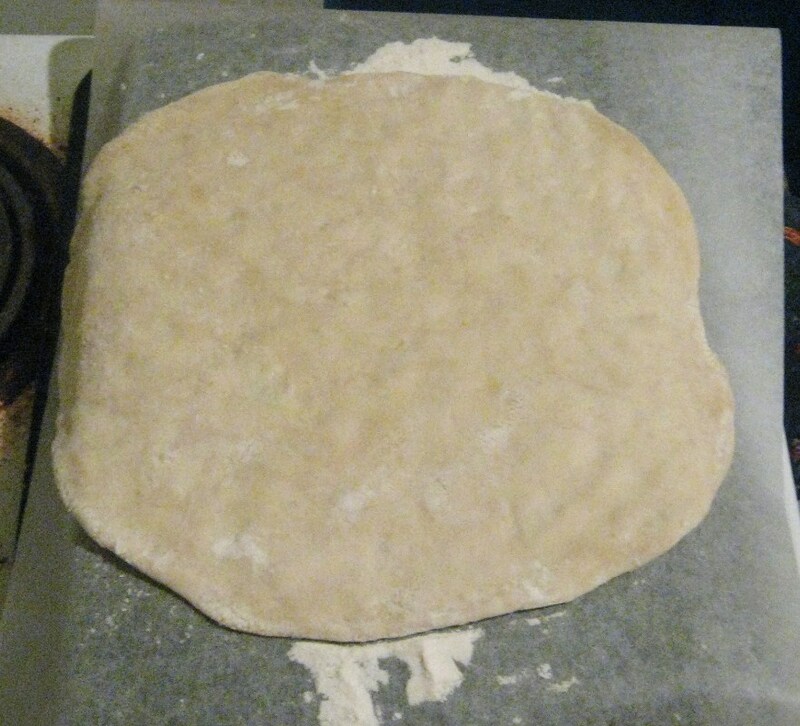 FOR GF: Press the dough into the shape you want (about 9-12 inches/23-30 cm in diameter – for a 6 ounces/180g piece of dough). NOTE: Make only one pizza at a time. 11. When the dough has the shape you want (about 9-12 inches/23-30 cm in diameter – for a 6 ounces/180g piece of dough), place it on the back of the jelly pan, making sure there is enough semolina/durum flour or cornmeal to allow it to slide and not stick to the pan. 11. FOR GF: Lightly top it with sweet or savory toppings of your choice. 12. 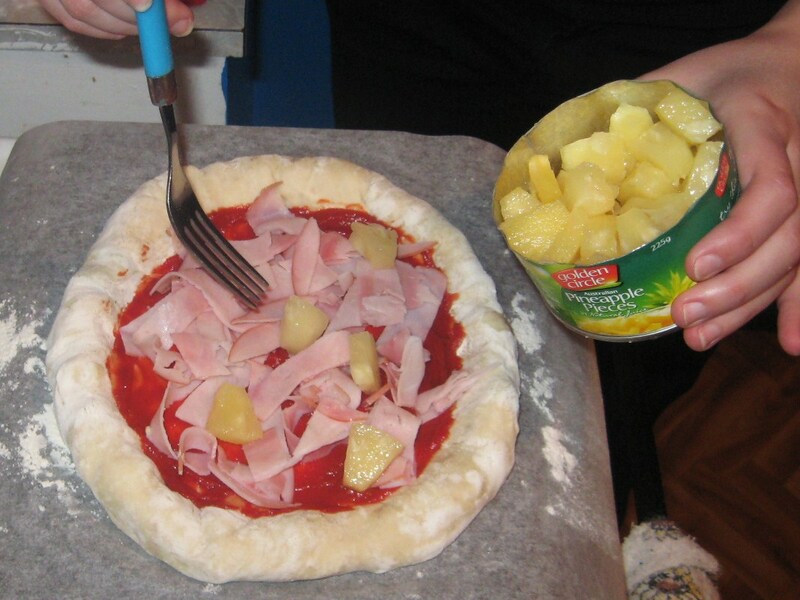 FOR GF: Place the garnished pizza on the parchment paper onto the stone in the oven or bake directly on the jelly pan. Close the door and bake for about 5-8 minutes. 13. FOR GF: Follow the notes for this step. NOTE: After 2 minutes baking, take a peek. For an even baking, rotate 180°. If the top gets done before the bottom, you will need to move the stone or jelly pane to a lower shelf before the next round. On the contrary, if the bottom crisps before the cheese caramelizes, then you will need to raise the stone or jelly. November 3, 2008. 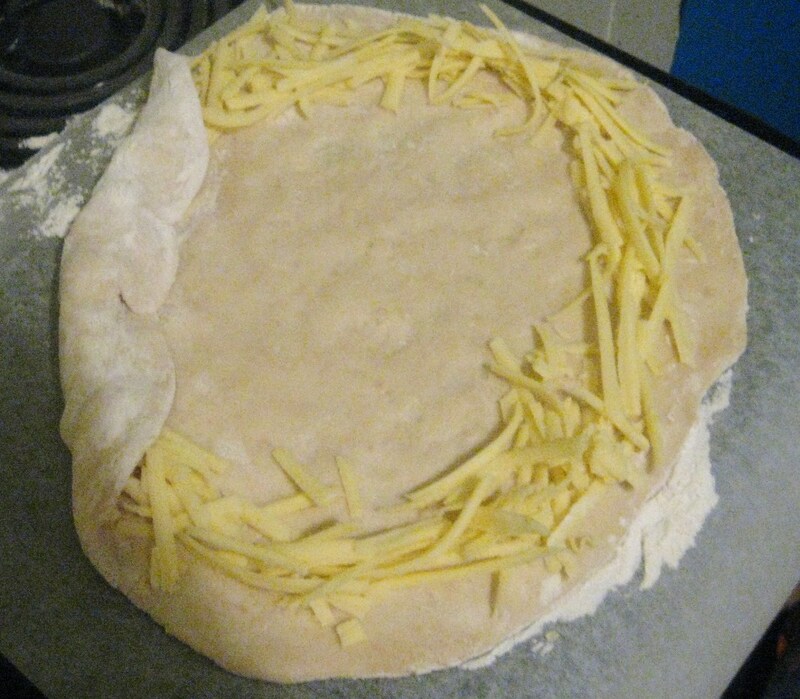 Tags: Daring Bakers, October Challenge, Pizza, Pizza dough. Baking, Daring Bakers, October. Leave a comment.